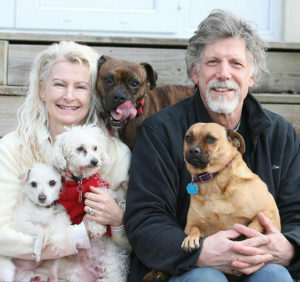 It took us a while to get there, but now all of our 11 dogs are happy, healthy VEGANS! Main stream manufacturers of dog and cat food have done a fantastic job of hiding the fact that commercial pet food is made from found-Dead, Diseased, Dying, and Disabled animals (the 4 Ds). No wonder those tins smell so bad! Our dogs used to be picky eaters (despite the fact that we cooked “good” food for them everyday), but since switching to a vegan diet they eat up every bit, and their poo doesn’t seem to smell so bad either! A neighbour (who spent a lot of time petting our dogs) recently made the comment that her hands don’t smell after stroking our dogs – that they have no odour like many other dogs do. This really surprised me as many of them haven’t had a bath for months…..and months….! She attributed this to their vegan diet. We discovered this brilliant book: Plant Based Recipes For Dogs by Heather Coster (available on Amazon). Heather, in my opinion, deserves a Nobel Peace Prize for this invaluable contribution to a sustainable, cruelty free world. The book is well researched and in addition to great recipes it also has a thorough glossary of various types of ingredients and their nutritional value (fruits, vegetables, pulses, grains, nuts, seeds, oils, milks, flours, herbs and spices). We have tried several of Heather’s recipes which have received a unanimous “two paws up” from all our canine kids. And….we enjoy eating them too! The “Chowder Mix” (see below) is one of her staple recipes (p.32 of her book) for which we have managed to find a very close substitute in pre-mixed and packaged form, which saves us time (and effort!). So, here’s what we are currently feeding our doggies. The base for the recipe is “Chowder Mix” (Vegetable Broth Mix) – you can buy this at any supermarket. It is basically a packet of mixed pulses, lentils and usually barley e.g. 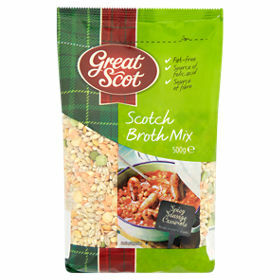 Tesco Soup and Broth Mix or Great Scot Scotch Broth Mix (ASDA is selling this for just 80p a pack right now!). One packet of this will last up to 8 feeding times for us (that’s all 11 dogs!) – so that’s pretty economical. Instructions: Soak the pack overnight in cold water. Next day, rinse well and divide into 2 portions. One portion we keep in the fridge for later in the week. The other we cook in a large pan (overall cooking time about 50 mins). At about the 40 minute mark, we add 4 cups of white rice (you could use brown if you prefer), a teaspoon of turmeric (anti-inflammatory, aids digestion, liver function and metabolism) and more boiling water. Cook for about 15 minutes more until all the water is absorbed and the rice is cooked. When cooked and cooled, we take approximately ¼ of the pan and mix it in a large bowl with a couple of heaped scoops of vegan dog kibble, and one teaspoon of yeast extract dissolved in a cup of boiling water (this adds a yummy taste and smell which the dogs love. Get the kind without salt if you can find it). We mix this all up really well and…..Voila!….a meal for 11 dogs! The other ¾ of the pan is saved in the fridge for the next 3 meals (we feed our dogs twice a day as some of them have teeny tiny stomachs and can’t eat much at once). 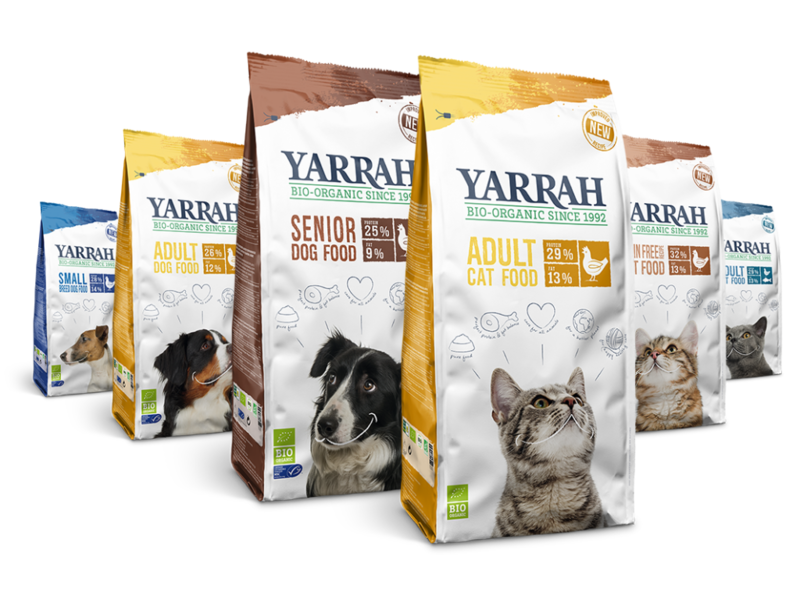 As far as Vegan Kibble goes, we have tried 2 brands so far, both of which our dogs seemed to love: Yarrah and V-dog. 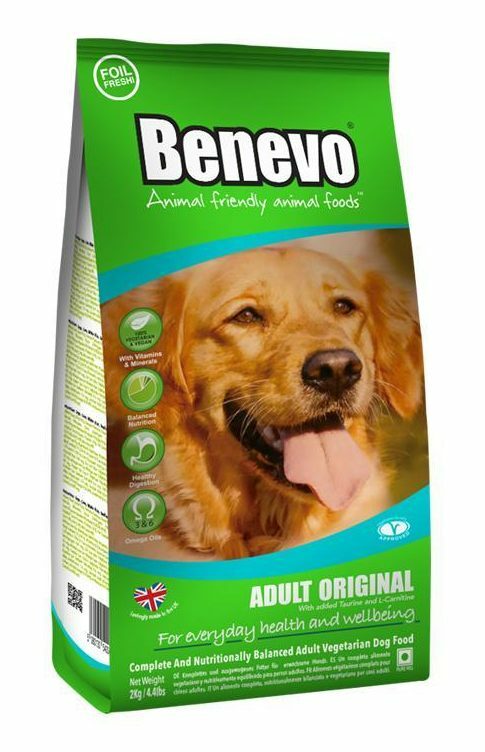 Both of these, along with Benevo – which we are about to try next – are available from www.veggiepets.com. They deliver cheaply by courier in 3-4 days and have a whole range of treats and chews also.